If you're blogger then you may need to backup your entire blog. If you lose your password or if your account is hacked then you can restore your whole blog in a new account. Or you can export your whole blog if you've a back up copy of your blog. First, make sure you're using the new interface of blogger. Now go to the Settings option and choose Other. 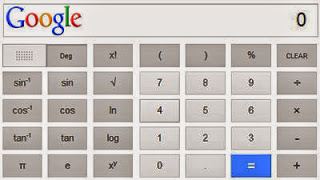 Hit on Export blog from Blog tools. Now your whole blog will be saved as .xml file. Go to the Settings option from blogger and choose Other. Now hit on Import blog. A window will let you choose the .xml file. Now choose the .xml file that you previously download from your blog. Almost all of you sometimes face problem with playing audio or video files. Specially video files with extension like .mkv may bother you. Today I am gonna show you the way to avoid such kind of problems. This problem occurs when you have no sufficient codec pack installed on your PC. Windows Media Player can't play some files if codec is not installed. In that case you can use media player like VLC, KMPlayer etc. But this is not the real solution actually. Because sometimes VLC may fail to play all the files. You can choose any of the following method to avoid problems regarding any type of media files. Method 1: Use Splayer as your default media player. It can play any type audio or video files. It is very fast, light and simple. Download link. Method 2: Use K-Lite Codec Pack. It will work as codec as well as media player. If it is installed on your system, then Windows Media Player can also play any type of media file. Download link. Method 3: Use Windows 7 Codecs if you're using Windows 7. If it is installed on your system then any media player including WMP, VLC, KMP can play almost all types of video files. Download link. My personal choice is Splayer . Web developer or blogger already know that it is not a very easy task to drive traffic from search engines. It takes huge time to perform SEO activities for a site. Forum posting, article writing, social connection, back linking, keyword selection and so many tasks need to be performed for SEO. But the most important task is to submit your site in the search engines. The most popular search engines are Google, Yahoo, Bing etc. Besides there are thousands of small search engines available in the web. But the submission is a very time consuming task. Specially when you need to submit your site to the search engines one by one. And this is very critical too. For your convenience there are also some sites that make your task easy. All you need to do is just submit your website or blog to those sites and they will automatically submit your site to the search engines. All of the above sites will submit your web or blog to the search engines for free. The procedure differ slightly. But the basic procedure is same. You've to submit your site's URL and your Email ID. Then agree with their terms and conditions. Check your Email and confirm submission if asked. And resubmit your site once in a month. You don't need to submit your site in all of the above sites. Choose one or two of them that is suitable for you. Use an alternative Email instead of your primary Email. Because you may receive many unnecessary messages from those sites. Don't submit your sites very often. Only submit your home page URL (ie. http://www.markspcsolution.com). Visit Marks PC Solution to get more interesting Tips n Tricks! Today I will give you a code that is really useful for bloggers. You have already noticed that this post has been started with a moving text. And from this post you'll learn how to add this on your blog. Before starting I wanna say you, this bar can be used as news headline or notice bar. Or you can use this for any purpose. It's simply an html code that can be placed anywhere of your blog. If you place it at the top then it can be used as news bar. You can also put it on the side or bottom of your blog. But make sure you're customizing the size and using the bar properly with the place where you wanna insert it. First, go to the design option from your blogger page. Then hit on Layout option from the left panel. Now click on Add a Gadget. I suggest to select gadget somewhere from top. Now scroll down and choose Html/Java Script then copy and paste the code below. You're done. Save the code and refresh your blog page. Replace the red text of the code with your text. Loop is 20. That means your text will be shown for 20 times. You can either increase or decrease the loop. But if you want the text to be shown for unlimited time then you should delete the this part of the code: loop="20"
Div align center. You can use right or left. Font color is #ffffff. You can choose any font color by changing the value. Background color is "#000080". You can choose any color by changing the value. Direction is left. You can also use right. Width is 100%. You can use 40, 50 or 70% too. In windows XP, you can protect your files and folders by adding a password. And no software is necessary for this purpose! All you need is just to create a ZIP file and set a password. Let's do it. First, select the files and folder that needs to be password protected. Now right click on it and send it to Compressed (zipped) folder. Double click on the zipped folder to open it. Now click on the file menu and select Add a password. Type and confirm the password in the Add Password window and hit OK.
From now, whenever someone tries to open this folder, he will be supposed to enter the password to open the file. And sorry to note this system has been removed from Windows 7 and Windows 8. PDF or Portable Document Format is a great way to share your documents with your friends or even in online. Earlier I wrote about both PDF Creator and PDF Reader. These third party tools for creating and viewing PDF is also very handy. But how do you feel if you don't need to install any PDF Reader/ Viewer on your PC! 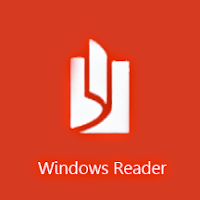 Windows 8 has built in PDF viewer named Windows Reader. It comes as metro app with Windows 8. And it can also read your XPS documents. If you're running Windows 8 and you have no PDF Reader installed on your system then you will see your PDF files look orange color. Actually this is Windows Reader. Just double click to open the file. Or press the start button and type reader. Then press enter to open Windows Reader. After opening the reader click on Browse to open your files and folders. And select the PDF file you wanna read. To close the reader, simply press Alt + F4. Or drag your mouse from top to bottom of the screen. It's 2012! That means 10 years have been passed since Microsoft released Windows XP for the first time. Though this OS is obsolete still nearly 50% users use XP in their Computers. Sometimes you may have trouble to make your XP genuine. If your XP detected as invalid once then you are in a deep trouble. You've to install it again. Besides while installing Microsoft Security Essential your OS must be genuine. In that case your Windows XP will show continuous error message about software piracy. So, in this post you'll get the easiest way to make Windows XP genunine. Follow the steps below. Download the 1 KB zipped .reg file from here. Double Click on the zipped file to open it. Now double click again and hit yes > OK.
Now restart your PC and enjoy the genuine Windows XP. Note: This tips has been tested on Windows XP SP 2. Other service packs were not tested. To check your service pack version, go to properties of My Computer. USB flash drive or Memory Card is a great device for sharing files and folders, audio and video, software etc. But at the same time this type of device is also responsible for spreading virus too! A virus can be easily copied from one PC to another by USB flash drives. When a PC has no virus protection or not having enough protection be careful when inserting your flash drive in that PC. Because it can affect the software or program stored on it. And other files like image, audio or video generally not affected by virus. But they may be hidden permanently. So, in this post, I am gonna show how to view the hidden files of a flash drive. Let's find out how. Now click on Folder Options located under tools menu. Now hit on View Tab. Now select the Show hidden files and folders. 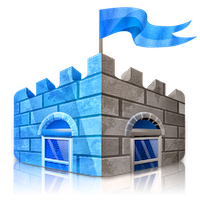 Deselect both Hide protected operating files and Hide extensions for known file types. Now click on Apply > OK. 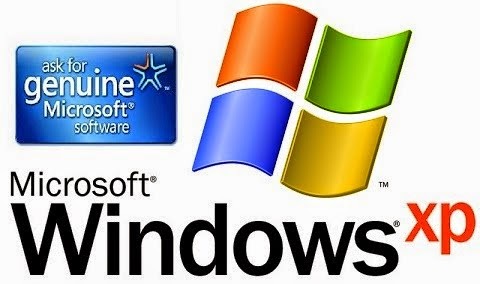 Note: This system works for all versions of windows. But in windows 7 and 8 you may not find the menu bar. In windows 7 to show menu bar press the Alt key then select the tools menu. And Windows 8 users will find it in Windows Explorer at the top right corner of the screen located under view tab named as Options. 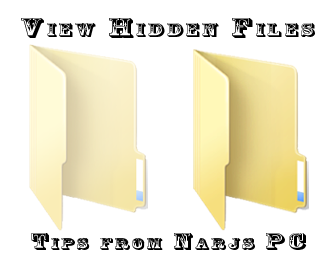 Tips: To protect your files from viruses you can simply store the files in .zip format. Because a virus can't enter into the zipped files normally. To do so, first select the files you wanna zip and then click right button of mouse and send to Compressed (zipped) folder. PDF is one of the most popular method if you wanna share your files. Specially when sharing any report, form or document, PDF is the most reliable and acceptable file format. By the way, most of the people use dopdf or other 3rd party software to convert their files into PDF. A procedure of PDF conversion is also posted in this blog. But if you use Microsoft Office 2010 probably you don't need any other third party software to convert your files into PDF. Open any of the above listed programs (ie. Word, Excel or Access) from Microsoft Office 2010. Then hit on the File tab located at the upper left corner of the screen. Now click on Save as to open Save as box. Enter the file name in the File Name box. Now select PDF (*.pdf) from the Save as Type option. Note: In some cases this system may not produce the desired file quality. If this happens then try this system to convert your files.